There’s a certain kind of low-budget horror film that can benefit from things which might be seen as flaws in other movies. Technical backwardness, for example, can lend a film a creakiness that adds to its visceral impact. (This is one reason why the silent cinema produced so many horror classics that can still hold a modern audience in thrall.) No other genre can make such a virtue of being shot on a shoestring budget. Once in a while, even incompetence has happy results: a jerky camera or careless editing can be unsettling in a certain context, and how many cases there have been – especially in zombie and vampire films – of mediocre actors unwittingly making a film more effective because their reactions seem so unnatural, so removed from regular human behaviour! Which is not to say that the really good, low-budget horror films are “accidents”. Far from it. But the line between inspiration and serendipity does sometimes get blurred. The young woman’s name is Mary Henry and she is played by Candace Hilligoss, whom I just can’t make up my mind about. Is this a case of superbly serendipitous casting and a reasonably talented actor making the most of the one role she was born to play? Or is Hilligoss a B-movie starlet fudging her way through a part that doesn’t require much effort or skill; where looking spaced out for most of the film works well enough for the character? The answer probably lies somewhere in between, but I don’t care to dwell on it much: what matters is that this off-kilter “performance” is perfect for the role. The film opens with Mary and two of her friends getting into a drag-race – that wholesome, all-American social ritual of the period – with a trio of boys. 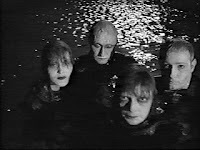 Their car topples into a lake and sinks, fruitless efforts are made to find it ... but then Mary climbs out of the muddy depths a few hours later (no one really comments on the strangeness of this), dazed and uncommunicative, yet in a hurry to get on with her life. 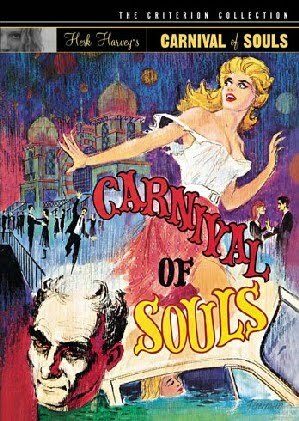 She travels to Salt Lake City to work as an organ-player in a church but finds herself haunted at intervals by the vision of a ghoulish man, and simultaneously drawn towards a spooky abandoned amusement park. Meanwhile, the people around her become increasingly intrusive. An amorous young man is puzzled to discover what a cold fish (out of water?) she is. A ludicrously solemn psychiatrist tries to unravel the mysteries of her mind. A priest urges her to “save her soul” (and looks very nervous when she suggests exploring the amusement park). These people are very annoying, and their presence deepens our sense of identification with Mary. But my favourite scene – more accurately, a series of four quick shots that add up to just five or six seconds of film – is the one where Mary and the priest are driving away from the abandoned park. The priest can’t wait to leave but Mary hopes to return some day. Sitting in the passenger seat, she looks back longingly and we get a long-shot view of the building from her perspective. But then, there is a cut to a brief shot from inside the building: the ghoul, very incongruous in this daylight setting, sitting by a window, watching the car depart. He turns his head away, looks down; cut to Mary, who makes a similar gesture and then turns around to face the road again. Their movements and expressions are perfectly matched. It’s like there’s an unspoken compact between them: we’ll meet for that eternal dance soon. P.S. Anyone who knows me knows that Hitchcock's Psycho is a personal obsession; it often becomes a point of reference for my other movie-watching. (Two earlier posts in this vein: Peeping Tom and Suspiria.) 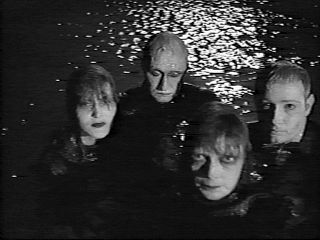 But even an “objective” viewer would find it difficult to overlook the influence that Psycho must have had on Carnival of Souls, which was made two years later. The very setting – the Four Corners states, their long stretches of highway and bare landscapes dotted with unexpected old structures – is crucial to both movies, as is the theme of a disturbed young woman running away to start a new life but fatally drawn towards a large, mausoleum-like building full of death and decay. But I also amuse myself with a hypothetical connect. What if Psycho took a sudden, demented right turn after Norman Bates pushes the car with Marion Crane's body into the swamp? 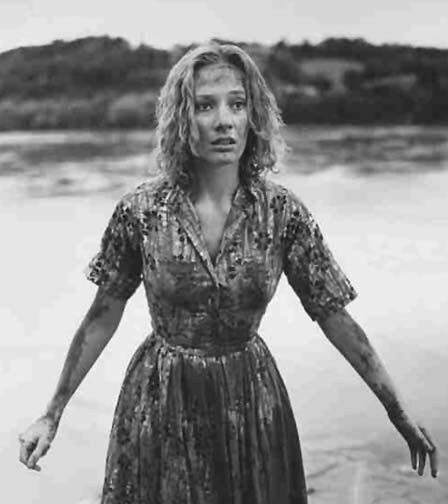 Instead of returning to the Bates Motel with Norman, the film stays at the swamp and watches as Marion emerges from it. It then traces her puzzled, half-hearted efforts to return to the life she once knew, and her family’s reaction to her changed state. Meanwhile, zombies start to infest the motel, and Norman and his mom are not best pleased, especially since the creatures refuse to get into the shower and soap off. Shrikanth: for some reason your comment didn't show up in my email and has now vanished altogether. Could you post it again, if you have it saved somewhere? Okay, ignore. Now it's displaying again. Weird. If there's a God, may he/she bless the Criterion Collection. Wish they sold them in stores though. 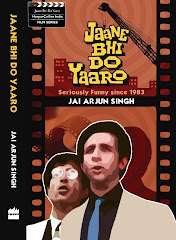 Its also available for free download here.